Video Annotations is a new way for you to add interactive commentary to your videos! YouTube should treat annotations as indexable metadata, just like it does with the title, description and tags entry fields. After all, annotations are helpful text content that can improve a video’s relevancy to the viewer (similar to the description field), which is under the control of the account holder with permission-based controls for collaboration (so spam shouldn’t be an issue). 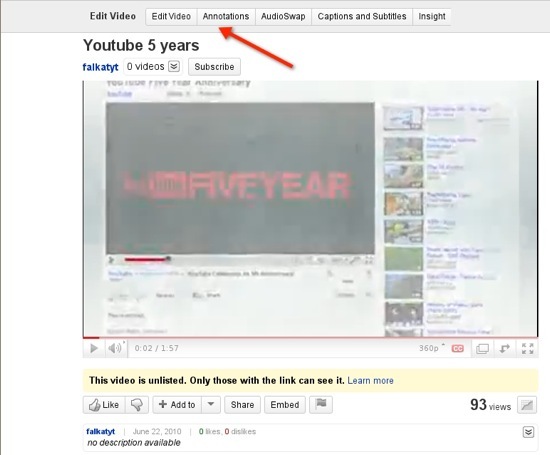 You control what the annotations say, where they appear on the video, and when they appear and disappear. The annotations can also be coupled with subtitles (which can be translated into multiple languages by YouTube) to complement them and add more depth of information. Between the two of them you might not need to worry about sound and dialog any longer as you can subtitle everything and explain it, even pausing the video to give the viewer time to consume the information. Annotations give you a way to offer far more information but still present it in a video format. Of course balancing the usage of the annotations so as not to overwhelm the video content or the viewer will be an art in and of itself. 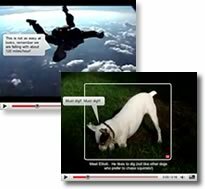 The Annotations Editor is a creator tool that lets you layer text, hotspots and links over your video, thus enriching experience with information, interactivity and engagement. This is a basic overview of how to access and use the Annotations Editor. For a more advanced guide to help you get the most out of the Annotations Editor, look here. Sign in to your YouTube account and click your username located in the top right corner of any page. From the drop down menu, select My Videos. This will launch the Annotations Editor for the selected video. Alternatively, you can launch the Annotations Editor from the video watching page by selecting annotations from the panel above the video player. The video player – On the left side of the screen is the video player where you can play your video while also seeing the live annotations take effect. You can also use this display to alter the location of your annotations on the video. The annotations timeline – On the bottom of the screen is where you can view and edit the timing of your annotations throughout the video, and also edit the timing as you like. The annotations properties panel – On the right side of the screen is where you can edit the details of your annotations, such as the font size, color, duration, and also add links to other videos and websites. For instructions on how to access your annotations page, please see article above. for creating pop-up speech bubbles with text. for highlighting areas in a video; when the user moves the mouse over these areas the text you enter will appear. for creating pop-up boxes containing text. 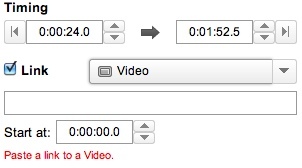 for pausing the video for a length of time which you specify. for creating a text overlay to title your video. You can move the annotation that you have created around the video player, customizing its location, or even changing its size and dimensions. In the Annotations properties panel on the right, you can change the following properties of the text and annotation: Font size. Font color. Background color.Additionally, you can change the time period in which the annotation appears, and include links to other videos, playlists, channels, and subscription requests. Background color. Once you finish customizing your annotation, be sure to save it and then publish whenever you like. 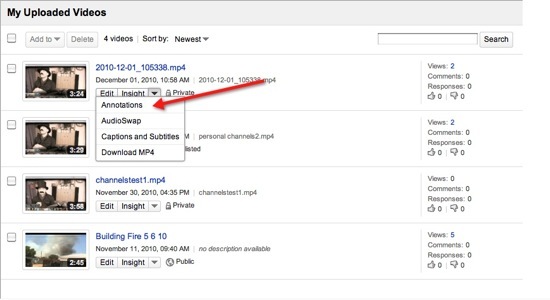 To edit an annotation, you can select it from the video player or the annotation timeline, and edit it in the panel on the right, or you can also click the Edit Existing Annotation tab on the right, and then selecting the annotation from the list. Change the annotation text by simply clicking on it and entering the desired text on the properties panel. 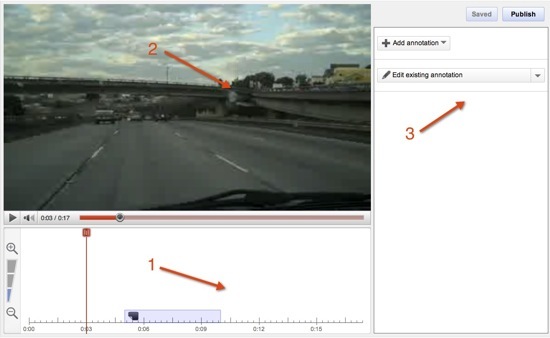 Drag the annotation to reposition it on the video. Resize an annotation by adjusting the resize handles (small white squares that appear in the corner of annotations). Change the speech bubble pointer location by dragging the resize handle that appears when you move the mouse over the annotation. Change the location of a spotlight text by dragging it to the desired location. The system will automatically save your work in draft mode every 30 seconds. If you want to save your work more often, click on the Save button at the top right of the annotations properties panel. Other users won’t see your annotations until you publish them using the Publish button found at the top right of the annotations properties panel. The system will not automatically publish your annotations. To delete an annotation, simply click the trash can in the right hand corner of the annotations properties panel. Annotations, once published, are shown by default. You can turn them off while watching a video through the player menu—just click the button on the bottom right of the video player.